Are you BORED? Do you need to get away from it all? This weekend, bring your family to Disneyland. We’re conveniently located and fun for the whole family. Come to Disneyland! Have you heard this before? It’s the pitch for Disneyland – from fifty years ago. 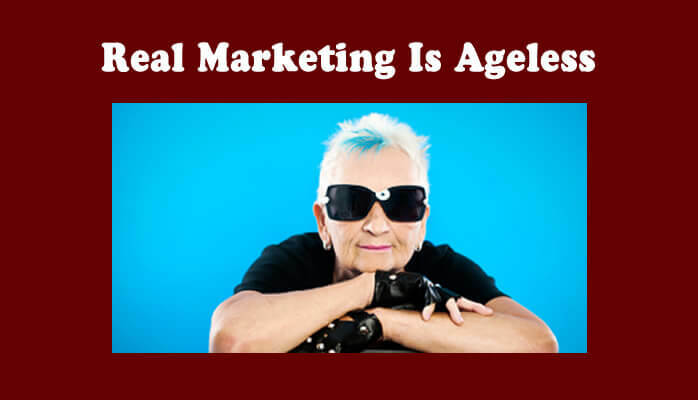 This is proof that real marketing is ageless and always effective! Let me define real marketing. That is marketing which addresses why your organization exists, how it does it, and what it does – in that order. What is its fundamental reason for being? Disney is a great example, because it is literally about having fun… and spending money, but they don’t put that in the ads. They have been the primary family destination in America for 40 years. I believe we can absolutely learn from their example as marketers and businesspeople in general. Simon Sinek has written and spoken eloquently about this – you must start with why. This is exactly what Disney did from the beginning, and why the company is as strong as ever as a brand. 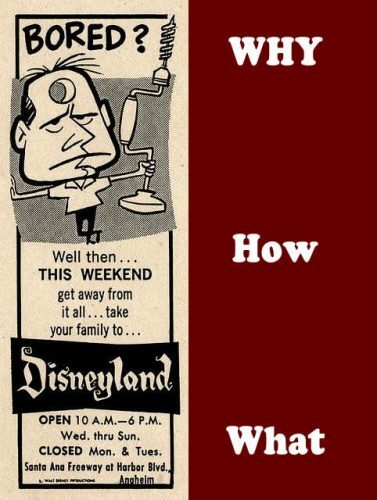 We can agree that Disney has been very successful.Their marketing message is timeless. The question becomes, “Am I doing this with my business right now? If not, why?” You can spend money on branding, advertising, and marketing, but if you don’t start with why, it won’t be effective. I implore you to communicate why you “are” first, and see what effect it has on your business.